US President’s reelection campaign set to report that it raised more than $30 million in the first quarter of 2019. 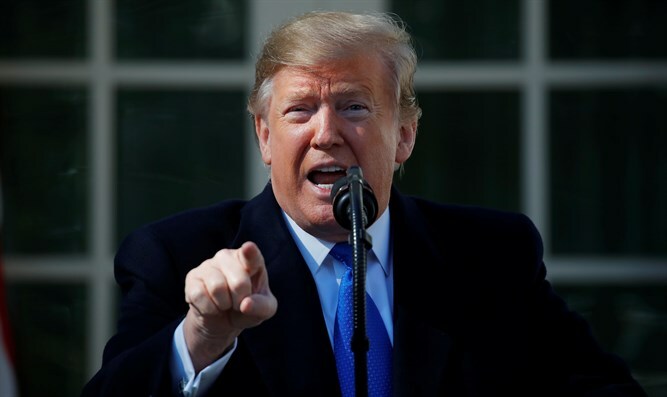 US President Donald Trump’s reelection campaign is set to report that it raised more than $30 million in the first quarter of 2019, according to figures it provided Sunday to The Associated Press. The funds raised by the Trump campaign edge out his top two Democratic rivals combined, according to AP. Those three candidates are part of a crowded field of Democrats seeking that party’s nomination in order to challenge Trump for the presidency. Other candidates who have already announced their intention to seek the Democratic nomination include Senator Elizabeth Warren, Senator Amy Klobuchar, Senator Cory Booker, Pete Buttigieg and congressman Eric Swalwell. Former Vice President Joe Biden, who has claimed he is the “most qualified” person to serve as president, has not yet announced he will run but it has been widely speculated that he will attempt to secure the Democratic nomination as well.